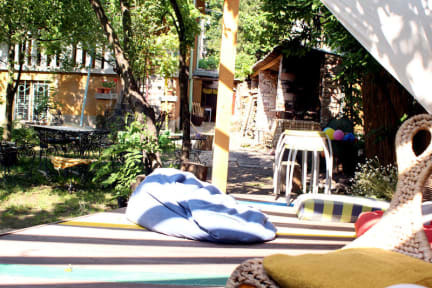 Best hostel ever, staff is friendly, dormitories, bathroom and kitchen are very clean, you can find every tips you need about the city and the atmosphere is just great... Will definitely come back, we wouldn't leave this place, don't hesitate ! Toilets are a bit cheap but all other things are great. La propreté dans une auberge de jeunesse est souvent le point noir. Pas ici, l'auberge est impeccable, le personnel très chaleureux, les parties communes sont nickels, une cuisine hyper grande et bien équipée si vous venez en été vous pourrez profiter du jardin cocooning à la perfection ! Vous pouvez réserver les yeux fermés, je pense que vous ne trouverez pas mieux ailleurs !!! My stay there was so nice!! It really feels like you're part of a small family. The staff and the owners are so friendly and helpful, we had many nights around the bonfire exchanging ideas and music. 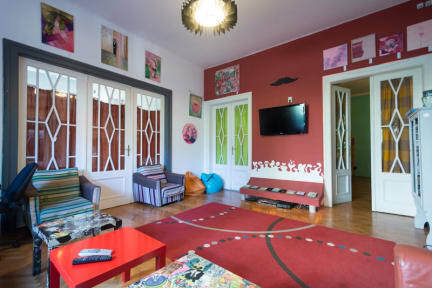 I would recommend to anyone to stay there if they happen to go through Timisoara. Thanks for everything! I stayed 3 nights at hostel Costel and I was really impressed by the place and the staff ! Everything was clean with a great atmosphere ! The beds were really comfy which surprised me for an hostel. Also, I was happy to have shower only for girls !! I really enjoyed spending time in the garden with some member of the staff awa other clients. Speaking of the staff they really helped me about having the greatest time that I could in Timisoara! Much advices and time to tell you where to go !